La Recoleta Cemetery is a famous cemetery located in the exclusive Recoleta neighbourhood of Buenos Aires, Argentina. 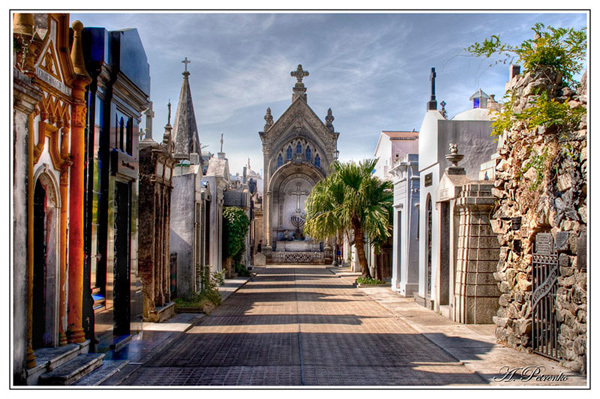 The layout of the cemetery was designed by the French engineer Pr&#243;spero Catelin, and was remodeled in 1881, while Torcuato de Alvear was major of the city, by the Italian architect Juan Antonio Buschiazzo. Well composed! Happy to see this! Very beautiful perspective with excellent light and shadows! Well seen!